Being afraid of a dental visit is a common fear among children and adults alike. The unfortunate reality is that a fear of going to the dentists often leads people to simply not going. This, in turn, can lead to serious dental health issues, which makes the inevitable trip to the dentist far worse than it might need to be. Instead of letting your fear of visiting a dentist hold you back, we encourage you to overcome this fear. As your local and trusted dentist in Frederick, we are passionate about ensuring everyone in your family receives the dental care they need. 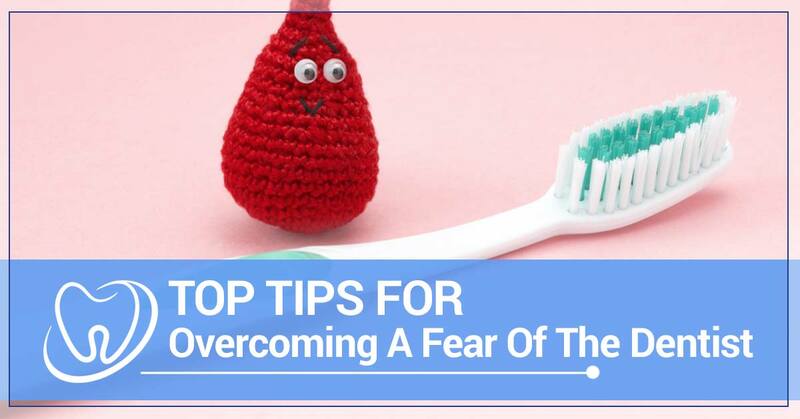 Read on to check out some of our tips for overcoming your dental fear. One of the worst things you can do when you are worried about an upcoming dental visit is working yourself into a fervor before you ever arrive. The calmer you can approach the dental visit the better. On the day of your dental visit, try to clear your schedule so you can focus on relaxing and enjoyable activities beforehand. Instead of rushing to the dentist from work, already feeling the stress of the day, opt for a full day off and choose activities you love. 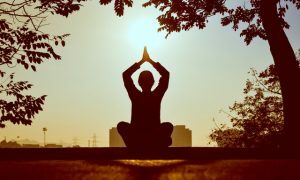 Perhaps you can join in your yoga class before you go or take a walk on your favorite trail. Physical activities that can help burn nervous energy will help you reach a better state of mind beforehand. Avoid stimulants before you go to the dentist as these can increase your anxiety. Choose a healthy and balanced meal that day and opt for a calming tea before you go. While you may think the best tactic is to schedule everything possible into one dentist visit so you can get it all over with at once, you might be making your anxiety worse. Instead of giving yourself a mountain to climb, focus on a few small steps first. Talk to your dentist about scheduling a short and simple cleaning first. If you know you have a variety of procedures that need to be done, ask about what small things can be done first. While you may feel silly as an adult of having a fear of the dentist, you are not alone. Your dentist will understand and the more information you can give them, the better. Talk to your dentist about your anxiety and what portions of the visit make it the worst. Many dentists will have tactics to work around severe dental anxiety and options for helping you through the visit. Talking about your fear with your dentist can also be therapeutic for you. Our fears often feel smaller when we bring them out into the open. Finally, give yourself something to look forward to at the end of the visit. Whether you choose to head to the spa for a massage or you go to that new movie you’ve been dying to see, plan something fun as a way to unwind after the visit. This will help your brain associate going to the dentist with something positive, not just the fearful visit itself. Rewards aren’t just for kids, we need them as adults too. If you need to see the dentist but you have been putting it off due to your anxiety, please give our team a call. We understand that a fear of the dentist can be extremely difficult to overcome. We are here to help you in any way we can. As a trusted, local dentist in Frederick, our goal is to help you keep a healthy smile with strong teeth. We will do whatever it takes to help ensure your next visit is as comfortable as possible, so stop by soon.